Children will be interacted with Mandarin-speaking teachers naturally on daily basis, so they can absorb it effortlessly. This curriculum nurtures the interest of the students in the Chinese language. It also stimulates their language skills and increase Mandarin fluency which become an advantage in their lifelong learning and prepare for their future. Children learn language best by experiencing it naturally, by being immersed in it. 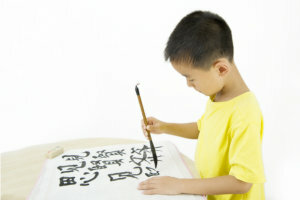 They will naturally acquire the Chinese language through age-appropriate lessons and activities. To enroll your child in one of our programs, please contact us at 626-401-2489.